The Diocese of Parramatta cybersecurity awareness training day on Thursday 7 February. Image: Mary Brazell/Diocese of Parramatta. Malware, hacking, phishing and randsomware. To the untrained, these terms can seem daunting. But for 45 parish staff and employees of the Diocese of Parramatta, they have now learnt how to defend themselves against these serious forms of cybercrime. The staff attended a cybersecurity awareness training session run by the Diocese of Parramatta Internal Audit and Risk and the Diocesan Development Fund held today at St Patrick’s Cathedral, Parramatta. Lee Netana, Head of Information and Communications Technology, Diocese of Parramatta gave a presentation about understanding cybercrime and cybersecurity and how to be aware when parishes and the diocese are under attack by damaging software and schemes to get their personal information. Lee gave useful tips on how to identify phishing scams such as checking the addresses of the sent email, checking spelling and grammar in the body of the email and checking hyperlinks for suspicious links. Lee Netana, Head of Information and Communications Technology, Diocese of Parramatta. Image: Mary Brazell/Diocese of Parramatta. 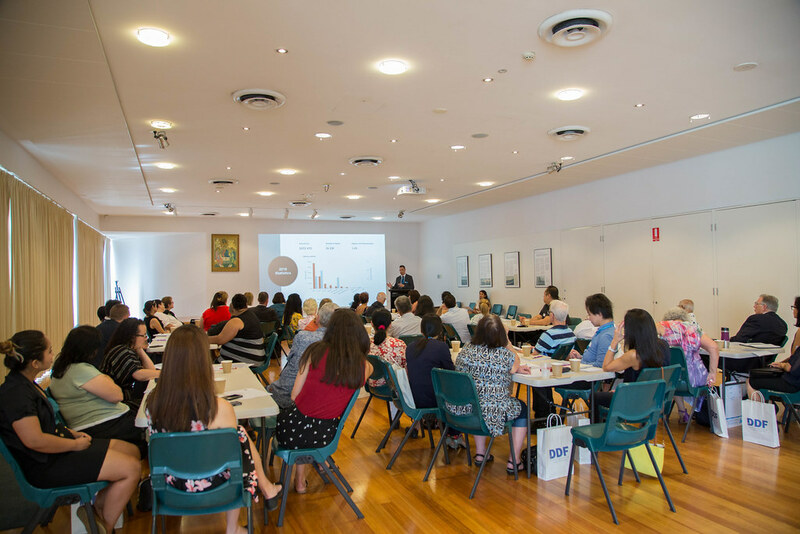 Attendees then broke off into small group to review real examples submitted to the Australian Competition and Consumer Commission (ACCC) in 2018. The examples highlight how parishes can be targeted in similar ways and encouraged discussions on how to prevent such cyberattacks. The second session of the morning was spent going through the BPoint payment system with Helen Steyns, Head of Lending and Operations, Diocesan Development Fund, Diocese of Parramatta. Helen highlighted ways in which fraudulent payments to parishes may be identified, and how to limit suspicious transactions. Helen Steyns, Head of Lending and Operations, Diocesan Development Fund, Diocese of Parramatta. Image: Mary Brazell/Diocese of Parramatta. Patricia Aviet from St Margaret Marys Parish, Merrylands, said that the session was reiterating information learnt from previous training days. “The session was very informative, and it gave me much more of an insight into how much we need to be aware of fraudulent activities, cybersecurity within our own parishes and helping us personally with our own dealings online. View the photos from today here or below.